Setting up filters is a critical part of getting value from EzyInsights. In this guide, we'll take a look at how to create keyword based filters that take advantage of the EzyInsights Realtime tool in the best way. Here you can type a single word and EzyInsights will show all articles and stories that contain that keyword or a close variation of it. The more specific the word, the more specific the results. 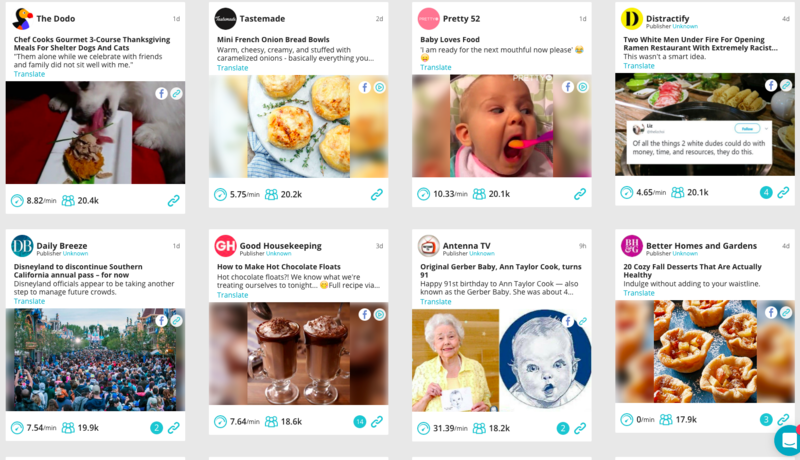 In the first example filter, we'll be looking for Food related content, but importantly we are going to set the filter up to look beyond food specific publishers and pages. We'll start with our list of keywords. Here, your own expertise and knowledge of your specialist area will help you. You can always add to these lists in future. Note: All keywords are added on an OR basis - so the results will show articles that contain any of these words/terms. As you can see, the first 3 keywords contain 2 words. In order to add a 2 word search term into the tool, it's as simple as typing both words in before pressing enter. Language - the most important option. Country - multiple countries can be selected. The result is we'll see is content around food that is from a huge pool of publishers beyond the food category. This method of filter creation is ideally suited for content discovery, monitoring specific interest areas and for tracking events. Remember to experiment and see what works best for you!